Welcome to the biggest PhD party in Leiden! 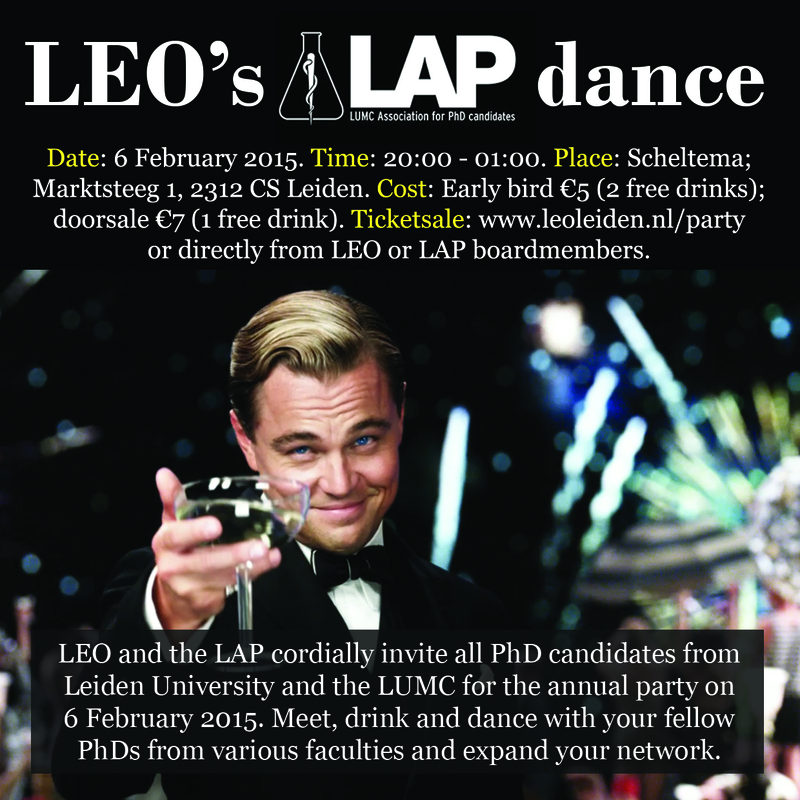 LEO and the LAP (LUMC association of PhD candidates) cordially invite all PhD candidates from Leiden University and the LUMC for the annual party on 6 February 2015. Meet, drink and dance with your fellow PhDs from various faculties and expand your network. Or buy a ticket at the door of Scheltema for 7 euro. Keep tuned on our Facebook event and on this page for news!